The Isalayam Ashram was established in 1998 at Thiruvananthapuram, Kerala, India by His Holiness Jagadguru Swami Isa. The Ashram is the main centre of Swami Isa’s activities and a Gurukula in which deserving students live, study and practice the path of yoga. For more than 20 years, the Ashram has been conducting yoga courses and training teachers. Presently, Isalayam Ashram offers 200-hour and 100-hour teacher training courses, research on Yogic Systems, 10-day yoga certificate courses, and Yoga packages. 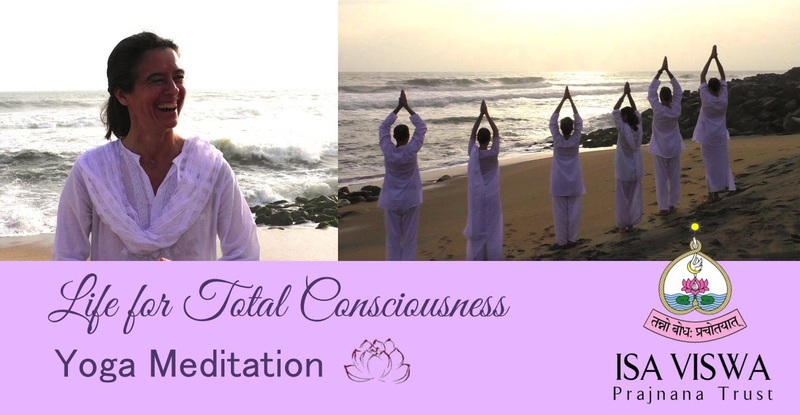 “Life for Total Consciousness” is a yoga-meditation sequence developed by Swami Isa that can be practiced by any and every person. LTC unifies several important yogic practices into a simple daily practice. It finely tunes the practitioner's body, mind, intellect, ego and ignorance so that meditation is an enjoyable process, rather than a strain. Starting from the body level, the LTC practitioner begins a journey of 10 precisely tuned steps leading him/her to subtle experiences of the inner world. Finally one attains the experience of peace, joy of life, a feeling of happiness, health and harmony, and greater love towards oneself and others. The sequence contains simple, refreshing body movements, powerful mantras and mudras, pranayama, chanting, visualisations and also laughing yoga. FREE Yoga Class at Isalayam: Saturday & Sunday at 7:30-9 a.m.
10-Week LTC Course: Monday - Friday at 6-7 a.m. Please see complete list of Yoga Courses and Packages for further information. Everyone wants happiness, and freedom from stress, strain, pain and sorrow. Happiness, or Total Consciousness, is our innate nature, but unfortunately most of the time we cannot experience it. Yoga means “union with Total Consciousness” or “union with the Divine”. Life for Total Consciousness (LTC) is a yogic lifestyle conceived by His Holiness Swami Isa for the modern world. LTC is universal—it can be practiced by anyone, regardless of physical limitation, age, location or belief. It is designed to respect and work with the entire human system, whoever you are. We learn to be independent in our self-care, as we gain the tools to keep ourselves in balance. LTC is a way to gain awareness and purify all parts of our system. Then only the parts become a well-tuned vehicle to drive us to our destiny—total bliss, total light, and total Consciousness. Learn to live a Life for Total Consciousness! Swami Isa initiates committed seekers into different techniques of sadhana or meditation, depending on their individual temperament and circumstances. 6- and 12-day Camps are offered at different times during the year to strengthen the seeker's personal sadhana practice under the direct guidance of Swamiji. They are precious opportunities to develop the privileged relationship between Guru and disciple. This Yoga Sadhana Camp offers a special opportunity to receive initiation directly from Swami Isa during Guru Poornima (the full moon in July). Personalised diksha, opportunities to ask questions regarding your sadhana--and time devoted to your practice in the peaceful setting of the Ashram, away from all other concerns. Contact us at isa.viswa(at)yahoo.co.in for more information! Committed sadhaks who are looking for guidance and a place to practice, may come to Isalayam for extended stays. Prior interview is necessary before any commitment is made on the part of the Ashram. Apart from these, Isalayam Ashram and our LTC teachers offer classes in Basic Yoga Asanas and physical movement, for students wishing for simply physical relaxation and de-stressing.